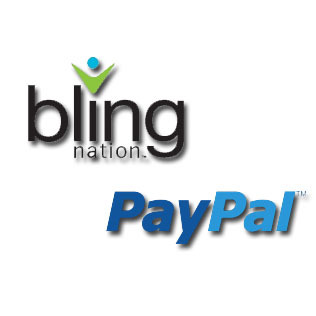 VeriFone and Bling Nation are partnering to support an introductory mobile payments program in Palo Alto, Calif. featuring VeriFone’s payment solutions and Bling Nation’s BlingTags. The new program enables consumers the ability to simply tap-and-pay for purchases using a BlingTag at the physical point-of-sale systems with contactless technology. The solution enables customers to purchase goods via alternative payment methods – including PayPal and direct debit of bank accounts – while automatically receiving real-time account balance updates and instant rewards through an intelligent loyalty program. Bling Nation is distributing the contactless/NFC-enabled VeriFone VX 810 Duet for countertops and wireless VX 680 to participating merchants as fully-functional “Blingers” that accept payments from consumers using BlingTags to tap-and-pay. A BlingTag is Bling Nation’s quarter-sized microchip sticker that enables mobile payment transactions. After the conclusion of the introductory program, VeriFone will be enhancing its PAYware Connect transaction gateway service to allow PAYware merchants to seamlessly consolidate traditional and alternative payment methods on a single card acceptance device. The VeriFone, Bling and PayPal X platform solution will be available to over 350 existing PAYware Connect resellers.